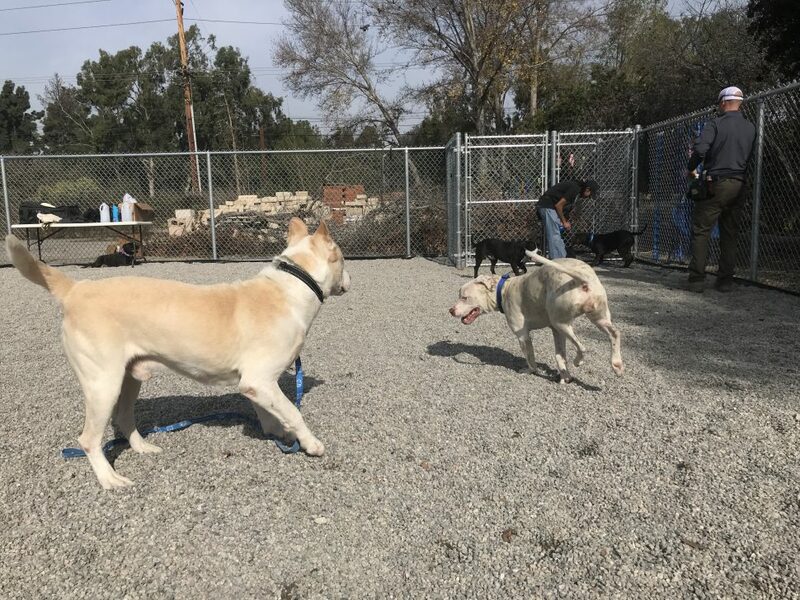 Fostering shelter pets like Lucas (he’s available–ask for ID#461041) gives them a chance to socialize and also to make room in kennels for other dogs. Sometimes, fostering can result in the best outcome possible: the dog stays in the home forever. Photo courtesy of ACS. In December 2017, the Long Beach City Auditor released the first phase of a review of the shelter at Long Beach Animal Care Services. 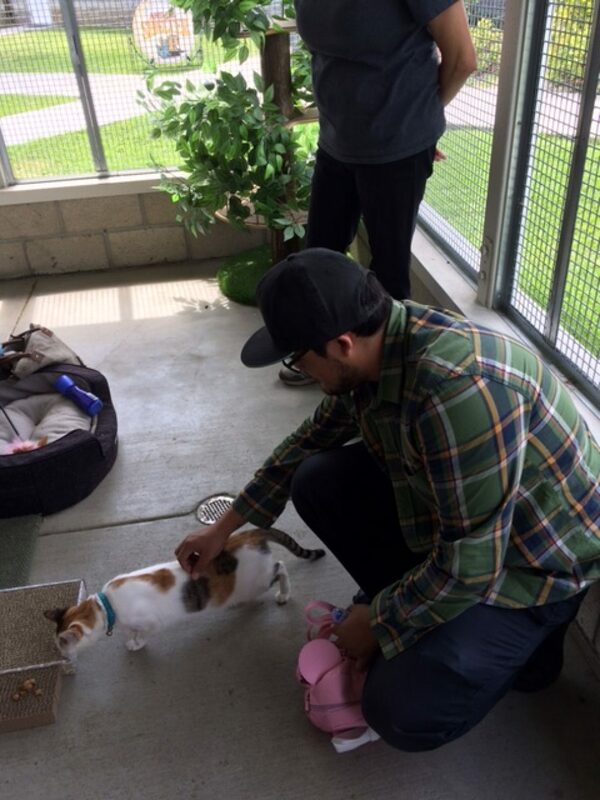 Mayor Robert Garcia had requested the review earlier that year in order to improve outcomes for all pets as well as a summary of positive steps that the shelter had already taken in that respect. One of the recommendations was to improve community engagement. In this spirit, the mayor promised to create an Animal Care Visioning Task Force on which community members would serve to help create a vision for ACS and decide how it would best be realized. “It will be a reflection of the audit, to be performed and put into being as a shared community vision for ACS,” Garcia said. This month, the mayor’s office released the names of the task force members. The list includes leaders in the animal-advocacy community, government workers, shelter volunteers, humane educators, fosters and rescuers of all stripes and spots, and people who may have little or no experience in the pet community but care deeply about animals and effecting shelter improvement. The members are: Ross Brown, Jacqueline Case, Herlinda Chico, Molly McLaren Craig, Carina Cristiano, Judy Crumpton, April Devane, Ralph Ford, Emily Ann Ghosh, Polly Huggins, Christina Johnson, Diana Kliche, Cecile Lindsay, Pamala Machado, Susan M. Miles, Jim Nista, Courtni Pugh, Kate Simon, Laura Vena, Anna Wong. Garcia will announce the date of the forthcoming initial meeting. Emily Ann Ghosh is a longtime animal rescuer with a strong community presence. In 2011, she developed Live Love Animal Rescue, a unique organization that combines rescue, fostering and adoption with dog-walking and pet-sitting services. Last year, she founded Long Beach Animal Advocates, which champions the well-being of shelter pets. Jacqueline Case has considerable volunteer experience but not officially in connection with animal-rights groups or shelter volunteers. She has had plenty of personal experience, however; she’s lived with an FIV-positive cat who lived to be 22 and has said hello and goodbye to many other four-legged family members. “I have so many friends who still think that a pet is just an object,” Case said. “When you adopt, you need to take it to a different level. The more we educate people, the more seriously they’ll take it.” Case hopes to create a process for foster and adoption, gain city support, and have a more constructive relationship between spcaLA and ACS. 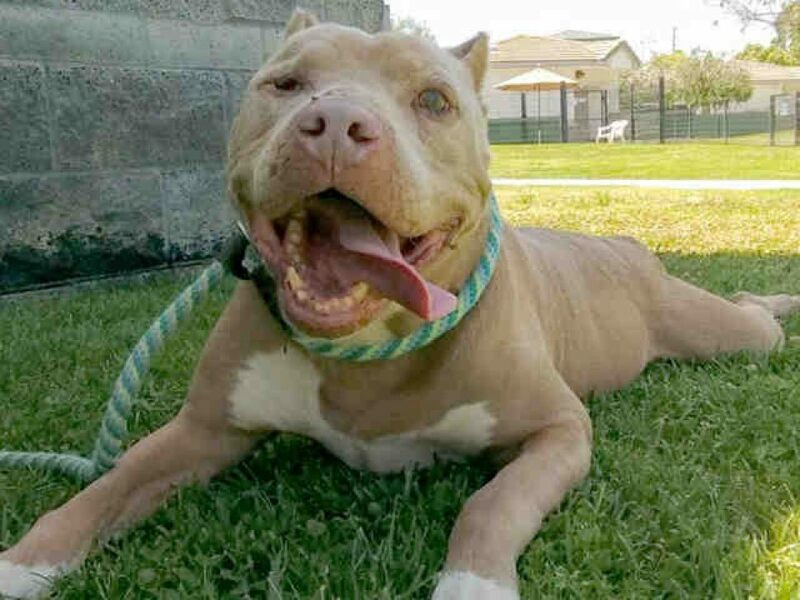 The partnership between spcaLA and ACS is a longstanding point of consternation for pet advocates, and one of confusion for visitors and potential adopters. The two entities share space at the P. D. Pitchford Companion Animal Village at 7700 East Spring St.
ACS conducts animal intake for the city and has for several years adopted pets out of their space. 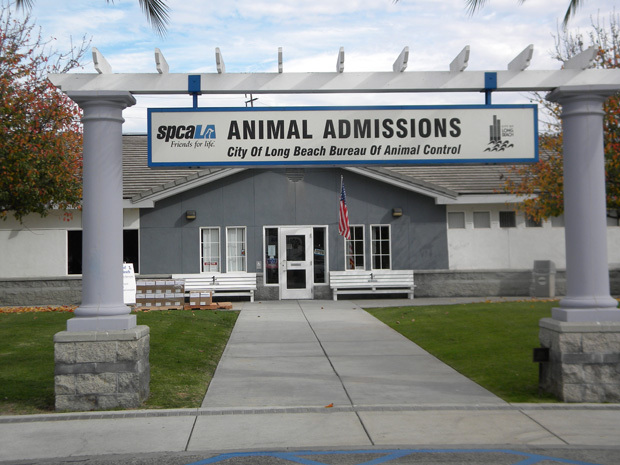 SpcaLA is a private rescue and holds the lease on the building, allowing ACS to rent it for a minuscule fee. 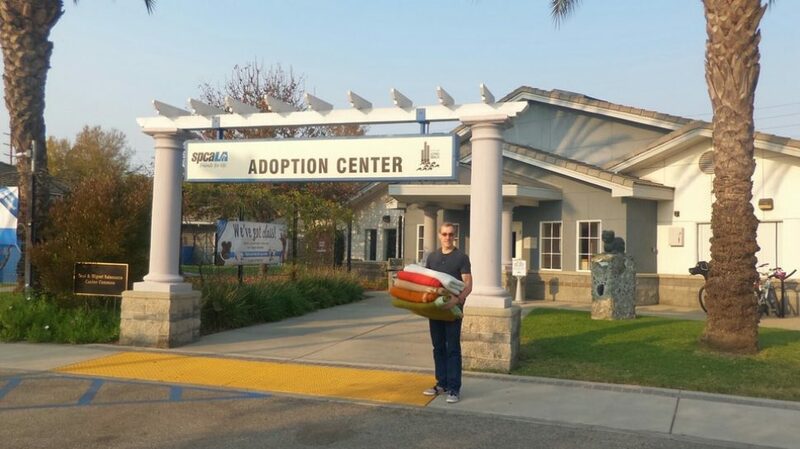 SpcaLA handles all the adoption procedures and also pulls pets from the shelter for adoption. This has brought forth charges from animal advocates of cherry-picking some pets and leaving those that may not be considered “adoptable” to linger in the shelter or face euthanasia. The signage at the Village is also confusing—spcaLA wraps around ACS much in the same way that Long Beach does with Signal Hill. There’s one entrance to ACS, several to spcaLA, and one or two shared by both. Top: ACS (photo by Kate Karp); bottom: spcaLA (photo courtesy of spcaLA). Entrances sometimes confuse visitors as to which goes where. Several of the team members have said spcaLA should be an active part of the task force process. Cristiano has been an animal advocate for over 30 years, since back in the day when the shelter was a bland, institutional building on Willow Street and her family’s iconic restaurant, Nino’s, was still open and held wine-dinner fundraisers for the shelter and Friends of Long Beach Animals. Cristiano’s marketing skills have been invaluable in helping other rescues raise funds and adopt pets. Other issues stated by task force members include bringing in the community at large to spay and neuter their pets, educating the public and helping them to keep their animals instead of leaving them at the shelter, further reducing euthanasia, and increasing adoption through socializing the animals, more enforcement of the city’s mandatory spay/neuter law, fostering and making the shelter a welcoming place. Several members also mentioned getting further support from the community and the city to help achieve these goals. Machado has volunteered at ACS for three years. She’s studied animal behavior for the past 10 years, took vet tech classes, and does TNR (trap/neuter/release) with cats in her neighborhood. Her real love, she said, is “helping the shelter dogs have a better day” by socializing the shy ones and helping other volunteers use positive reinforcement with all of them. This, she said, makes them more adoptable. Before coming to ACS, Machado volunteered at spcaLA for 11 years and so has a broad sense of procedures and situations. A main focus of several task force members is for ACS to become a no-kill facility, defined by No Kill Los Angeles as a shelter that attains at least a 90 percent live release of animals for adoption and owner return. Austin Animal Center, the public shelter in that city, has a live release rate of over 90 percent and is held up as the gold standard for open-admission shelters—facilities that are committed to take in pets regardless of space and would have to become creative to avoid euthanasia. ACS is one such facility, and its management and staff, along with those of shelters across the country, have visited Austin to see how no-kill is effectuated. Machado said that no-kill is something to shoot for but that there’s no magic arrow. “No-kill is a fabulous idea, but it’s not that simple to accomplish,” she said. “It may be my feeling from being in the shelter—I have a different view of the reality of what can be accomplished. Austin Animal Center has a separate organization, Austin Pets Alive, which can support them. We don’t currently have that. The new play yard for dogs, installed earlier this year, coupled with the Playing for Life training is a major improvement for socialization. Dogs have a great time playing with new friends, and there are always trained volunteers present. Photo by Kate Karp. Potential adopters who are on the fence about adopting a particular cat frequently change their minds for the better when they interact with them on the Catio attached to the Cat Cottages. The Catio, however, needs a remodel, and advocates have pointed this out. Photo by Kate Karp. Respect for ACS and its staff is also the hope of humane educator Judy Crumpton, a humane educator for many years. She volunteered at the Corona Animal Shelter, establishing breed rescue, helping with exterior improvements, created a humane-education program, and popped up at the shelter at 7 a.m. to take care of rescues. After moving to Long Beach in 2001, she continued shelter support through education, including co-writing the Scratching Post, then called Pet Post, during the beginning years of the column. Crumpton would like a better respect for the shelter and an understanding of its operations to be a part of what comes out of the task force. She views shelter overpopulation and euthanasia as community-related problems and would also like to see more emphasis on prevention in the form of spay/neuter and community education. Diana Kliché is a board member of both Fix Long Beach and LBAA. She sees great need for change on both sides of the shelter/community fence but says that to her, the biggest need is spay neuter. Her leadership in FLB has exposed her to the need for education and services not only in Long Beach but also in surrounding cities such as Compton, Watts and South Gate. Kliché said that funding for greater enforcement is something that she’d like to discuss. Kliché hopes to continue the downward trend of euthanasia rates at ACS with more access to and enforcement of spay/neuter and make the shelter as much a place to emulate as the one in Austin. The different levels of experience as well as differing opinions among task force members might present nearly as much of a challenge as developing a shared vision for the shelter. But all of the team members, no matter their views, have two essential things in common: passion for animal welfare and the determination to achieve the best-possible outcome for each pet. This is the main ingredient in the buffet of opinions that can avoid a food fight and instead construct a productive vision for ACS. “I firmly believe that diversity of opinions can work really well,” Cristiano said. “We can’t have multiple chiefs, but we need a certain protocol that invites all the diverse partners into the partnership of animal rescue. We may not all agree, but we need a system that works well for everyone.